2017 Season Primer: Which PKBGT Series is Right for Me? Home/"Talking Girls' Golf"/2017 Season Primer: Which PKBGT Series is Right for Me? As we begin the 2017 season on the PKBGT, we would like to lay out a few key policies and procedures for the Tour, including a few changes, that will help you navigate the tour this season. We are excited about the many new opportunities in this our 11th season. With the continued growth of the tour, now with over 600 active participants, new Series and events are being offered to provide the best experience for all our members! Vol. 2 – Which PKBGT Series is Right for Me? Which PKBGT Series is Right for Me? 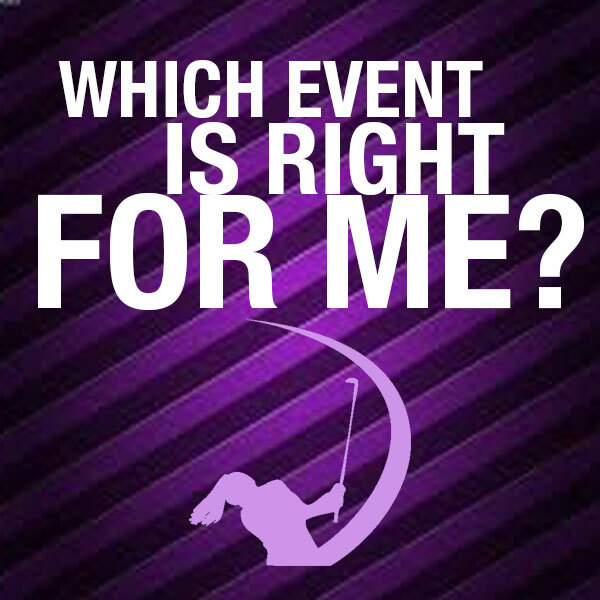 One of the questions I get most often is: Which event is right for my daughter? One of the most challenging aspects for junior golf families is making educated decisions on when, where and what to play. Many families do not have an instructor who is educated in competitive girls’ golf or understand the college recruiting process to be armed with the knowledge necessary to make quality decisions for their daughter and her on-course development. One of the greatest assets that the PKBGT has is a staff of golf professionals who specialize in these arenas. The tour is constructed to help develop junior girls’ abilities and to provide a platform for them to achieve their collegiate golf dreams. I am blessed to have the guiding hand of tour co-founder Robert Linville, a past NCAA National Coach of the Year and Carolina’s PGA Teacher of the Year and the consultation of Brandi Jackson, RecruitPKB College Consultant and a past LPGA Tour player. In addition, we receive constant input from engaged parents, golf professionals and our staff thru our PKBGT Tour committee. Along with my 14 years of experience operating junior tournaments at all levels of development, we have developed a new way of thinking about competitive girls’ golf. The key difference of the PKBGT is the elimination of age divisions to put the focus on yardage/skill based divisions. This has proven a stronger platform to attract and retain tournament players. In addition, the “girls’ only” environment fosters an atmosphere of inclusion, where the girl’s and their families feel special, engaged and prioritized which is too often lacking in the other tours and associations. By producing larger and deeper fields, the college coaches now have a one-stop shop to recruit players on a regional & national level, illustrated by the over 550 PKBGT members who have played in or committed to play in collegiate golf in the first 10 years of the tour. I will examine the most common types of players that we come across and the key factors to consider for each. In addition, I will highlight what the PKBGT has to offer for these players. In the end, a player should seek out events where she is comfortable, confident and in a position to develop. Elite tournament golfers, those ranked in the Top 250 in national rankings, have a wealth of opportunities to play, including junior and amateur events. For players still in the recruiting process, researching collegiate programs and communicating with coaches is a key factor in tournament selection. As you identify schools that interest you, finding the events that these coaches attend and where players they have recruited played is helpful. In addition, playing events at their home course or at courses they play during their collegiate season will increase exposure. For players who have already signed, make sure to not abandon tournament golf all together to stay sharp and be ready to excel when you set foot on campus that fall. In the end, coaches are looking for low scores, and at the elite level, the ability to prove you can shoot these scores against the strongest competition in the toughest of conditions. It is these reasons that the PKBGT plays our longest yardages and challenging setups during our Championship events, the most elite being the PKBGT Invitational each fall. The PKBGT conducts 10 of these Championships each year, all a part of the PKBGT Bell Series which runs from November and August. During the summer months, focus on raising your profile by qualifying for USGA Championships and strong finishes in state & national championships. This player has played competitive golf for multiple years and is competitive playing courses from 5,800+ yards. This player needs to seek out events that play longer yardages and seek out more regional, larger fields. In doing this, you strengthen your state and national ranking, many of which utilize factors such as strength of schedule and number of players beat to determine standing. Your ranking will be a factor, but it will not be the deciding factor. It is only one tool coach’s use, and keep in mind that many of the ranking systems are only focused on a specific sector of junior golf. For example, Golfweek only ranks a select number of events in its rankings and Junior Golf Scoreboard only ranks multi-day junior events. Both leave out amateur events and many golf association events which can be beneficial to your tournament resume. In the end, the factor the coaches want to see is low scores and high finishes from 5,800+ yardages. On the PKBGT, our ranking system is called the PKBGT Performance Index. The principle factor determining your ranking on our index and many of the ranking systems is called Scoring Differential. Scoring differential is the course rating for that course and yardage subtracted from your score that round. In addition, the index factors in how many players you have beat and events you have won in the last 12 months. For this level player, the PKBGT offers two Series which provide beneficial competition and exposure for this level player, the Bell National Series and the Prep Regional Series. The Bell National Series is a 17 event series that features events played from 5,800 – 6,200 yards at some of the top-venues on the east coast. We focus on collegiate courses that are either on college campuses or host elite women’s collegiate events. This allows are junior players to get exposure to the programs and facilities they will compete on at the next level. Most Bell Series events are ranked by the Golfweek Rankings system and offer enhanced AJGA Performance Based Entry in addition to exemptions from elite national events including the Joe Cheves Invitational and the Optimist International Jr Championships. For example, the PKBGT Invitational, Tournament of Champions and Tar Heel Classic were all listed as Top-100 events in the country by ranking and 3 of the few available on the East Coast. The Prep Regional Series includes 46 events that run year-round in 3 regions across the country, North Carolina, Southeast & Middle Atlantic and players must meet eligibility criteria to participate. Prep events are played from 5,600 – 6,000 yards and provide collegiate level competition and setups for players developing a regional and national profile. Players transitioning to the longer yardage should start in the Prep One-Day events while players looking to enhance their ranking and profile can focus on the multi-day events. For each Series, the multi-day events field sizes average in the upper 40’s, many of the premier events offering full fields of 66 girls. The Order of Merit champions for these Series in the first 10 years of the tour have been some of the top junior players on the East Coast, including 2-time champion and current LPGA Professional Katherine Perry. This player has played on her high school team and some competitive tournaments. The focus for this player needs to be 100% on development. Disregard the rankings, competition level or any other factor that is not specifically about developing the skills your daughter is lacking. Golf in the end is a game between the player and the course. The factors that lead to higher scores for this level player do not lie in what others around her are doing or how far she hits her driver, it lies in the execution of irons, short game proficiency and putting. For the high school player who is in this category, I understand the pressure that comes with feeling behind in the process and the rush to play longer yardages because that is what the “coaches want to see” instead of where you at it in the development process. The reality is golf is a very difficult game to “figure out” by wading in the deep in. A longer course setup is not overcome by long drives. Your average approach increases, especially on par 3’s and 4’s, and greens hit in regulation decreases which put an even greater strain on your short game and putting to score. Remember, the biggest thing the coach that will be recruiting your daughter wants to see is lower scores and the tools they feel they can develop. There is no doubt that every player wanting to play in collegiate golf needs to show what they shoot from 5,800 but from my experience, even a player who focuses on development and does not rush back will find a home on a college roster. It is for these reasons that the PKBGT designed our divisions by yardage and not age. Many girls come to come from team sports at a later age than boys and this player has a much greater opportunity to play collegiate golf than their male counterparts. The PKBGT progression starts with our Futures Series which plays competitive, nationally ranked tournaments from 5,100 – 5,500 yards. The Futures National Series features multi-day events and Championships, with nationally ranked events and a competitive atmosphere. The Futures One-Day Series provide the starting point for many players looking to gain 18-hole competitive experience in an environment specific to their place in the developmental process. The growth of the U.S. Kids tournament model has been a great asset for developing more tournament tested 14 & under juniors. These players know what lower scores feel like as they started with age appropriate yardages at an earlier age. Mentally, it is much easier to maintain a level of scoring as you increase distance than the old model of starting day 1 at the red tees and trying to work your way down from 120, to 100, to 90, etc… For that reason, it is very beneficial for this player to find tournaments at the transitional yardage (5,000 – 5,400 yards) and not allowing caddies as they come out of US Kids around age 11 or 12. Many times, the hardest part of this phase is on the parents, not the kids. The girls are very versed in competition and playing golf at this point but are in need of confidence and emotional development that comes from doing it on their own. The parents have to go “cold turkey” from the protector of their daughter’s game as caddie to a spectator. It is not an easy transition! The biggest thing parents need to realize is the quicker your player can take ownership of her own game, the sooner she will make the jump from elite US Kids player to elite junior player. The collegiate game requires independence and self-discipline to excel, skills that your daughter will have to learn for herself. I highly encourage all parents following their kids to never be in earshot of your player while on the course. If they hit a bad shot, their first reaction cannot be to turn and look for mommy or daddy. You do not want to be the emotional crutch for your player on the course. That is what a good hug after the round is for! Your player is already a good player, now she has to develop the intangibles to a great golfer. The PKBGT offers a competitive Futures National Series which provides nationally ranked competitions from 5,000 – 5,400 yards. These events are all multiple days and provide USGA Rules officials on-site to assist these players as they make the adjustment to playing on their own. The player should set specific goals for competing (break 75, win an event, win a PKBGT Championship). The most elite 14 & under players may only spend one season at the Futures level before moving to the longer yardage. The main factor to consider in this move is does your daughter drive the ball long enough to compete at 5,800 yards and has she fully accomplished all that she set out to at this level? The biggest impact the PKBGT has had in our 10 years is in this group of players. We are most proud of the fact that high school girls’ golf competition has grown considerably in our region during this period. The most important factor for this player is having a quality first event experience to motivate and engage the player. Golf tournaments are scary, especially at first… Am I good enough to be here? Do I know the rules well enough? Am I wearing the right outfit? Are the other girls going to laugh/sneer at me? I do not need to tell you the social dynamic is a huge component to a 12 – 16 year old female. With these questions in mind, seeking out positive tournaments can be a challenge. The co-ed environment by in its inherent nature can be problematic for new tournament players who are female. The small girls’ field sizes that are typical to these events lend the girls to be after thoughts, teeing off last and given little attention. In addition, players are paired by age and not skill, creating anxiety in groups as stronger players can be annoyed and less experience players are self-conscious and nervous as to the effect they are having on others. The PKBGT has specifically structured our system to accommodate this player. No matter the player’s age, the Futures One-Day Series provides an ideal starting point. Players who scores are under 100 per 18-hole round should look either to the Futures National Series (multi-day events) or the Futures One-Day Series as an entrance point. Players who scores are over 100 should look to the Futures One-Day Series as a starting point as these events use modified scoring and rules to assist in player development. One other key aspect for the new tournament player is the PKBGT pairing policy. For all first rounds, our pairing policy includes creating sub-groups in each division based on a marriage of player skill and age. We randomly pair players within these sub-groups to foster a group of likeness and commonality, creating an opportunity to make new friends and enjoy the day. Eliminating these environmental and social obstacles allow the player to focus on the task at hand, competing against the golf course! Many players are looking for warmer climates for the college golfing experience and they seek exposure to the southern colleges and coaches. For this reason, the largest growth sector of the PKBGT has been players from the Midwest and Northeast, making up almost 18% of the tour membership despite the fact no tournaments are currently being operated in these areas. Either by playing in events at these southern colleges or attending a summer camp at the school, use these travel weekends as a chance to tour the local schools and communities. You will gain awareness to what is available to you while providing the coaches a barometer to elevate your skill against the players they are most familiar with. I hope this has helped you better understand the process and how the PKBGT is working to provide quality opportunities for all junior girls’ wishing to compete. Do you have any feedback on this article or your personal experiences in selecting tournaments? Please join the conversation below. We believe the PKBGT is the right place for your daughter and we strive to accomplish the mission each day. Mike Parker is a Co-Founder and Tour Director of the PKBGT. Mike has been directing junior golf tournaments for the last 13 years including local, regional and national events. To contact Mike, please call 336-347-8537 or email mparker@pkbgt.org. TGG: Which Event is Right for my Daughter? TGG: What’s New in PKBGT for 2015?